Sabrina E. Dent (DMin) is the director of admissions and recruitment at the Religious Freedom Center of the Freedom Forum Institute. In addition to assisting students and partner school personnel, she is leading our new initiative for community-based workshops, graduate course intensives, and the Summer Bootcamp program. 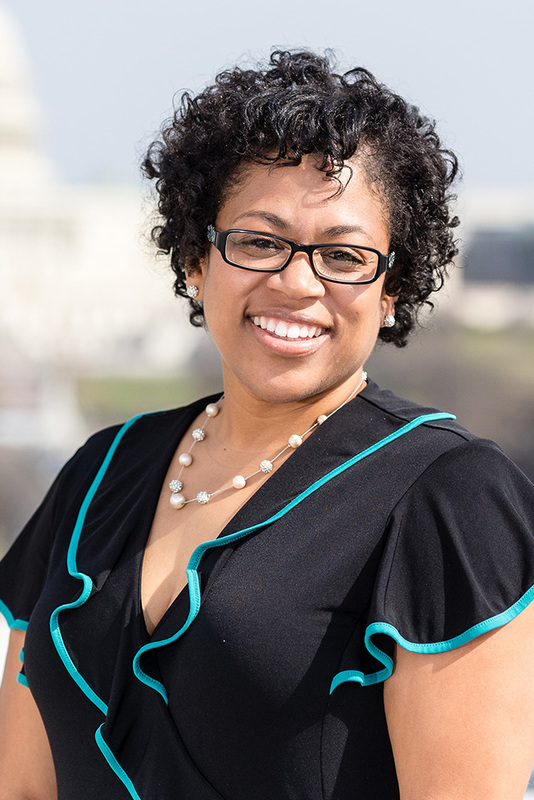 Before coming to the Religious Freedom Center, Sabrina served as program coordinator for the Doctor of Ministry Program at the Samuel DeWitt Proctor School of Theology at Virginia Union University. Additionally, she worked in the Office of Graduate Admissions where she assisted prospective students in discerning their call to theological education while navigating the application process. Sabrina is the past president of the Interfaith Council of Greater Richmond (ICGR). ICGR is a non-profit organization comprised of 20 faith groups and denominations that is committed to developing respect, understanding, and cooperation among the various religious faiths. Sabrina recently earned her Doctor of Ministry degree focusing on interfaith and race relations at Virginia Union University where she received her Master of Divinity degree. She earned her Bachelor’s degree from Virginia Tech.